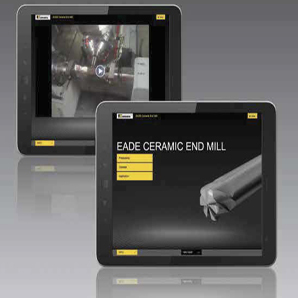 Introducing the Kennametal Innovations iPad Application. It is available as a free download from the iTunes App Store. It features interactive, cutting-edge animations and real-world demonstrations of Kennametal's productivity-enhancing technologies for machining and industrial processes. It's easy to use. The simple navigation makes it easy to search via keywords to find specific tooling solutions and product groups. The user-driven navigation map offers drop-down menus with supplemental information. Go to the iTunes App Store, and search for Kennametal. Then follow the directions on downloading. It's simple, fast, and free.